12.00 – After breakfast meeting with the guide at the hotel lobby and transfer to the city tour. 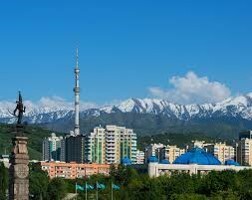 the Independence square –where tourists can take lots of picturesque photos while the Guide will be telling the history behind this Square and will show you the monument of Independence that depicts the Golden Man – symbol of Kazakhstan. 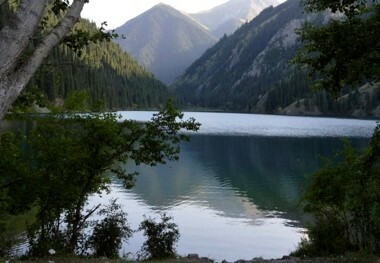 Big Almaty Lake is located in gorge of river Big Almatinka, at height of 2511 m above sea level. The lake is in a hollow, surrounded from different directions with mountain tops. Gorgeous. 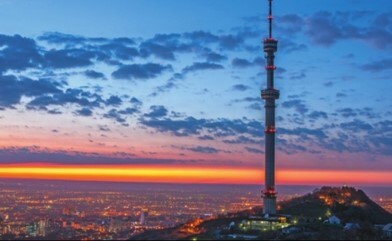 In just 5 min drive from Big Almaty lake is located working observatory “Tian-Shan”, driving there will allow us to take astonishing photos of Big Almaty gorge. 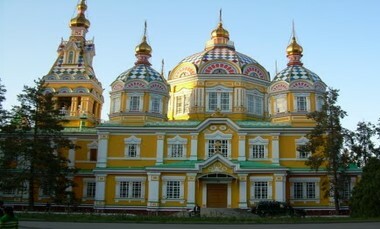 09.00 – Guide will pick up from hotel lobby and transfer to Saty village (275 km). The road takes approximately 3,5 hours. 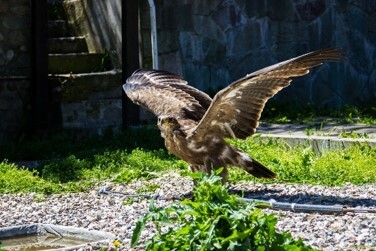 Saty village which is located on the territory of Ili-Alatau National Park, closely to mountain lakes Kolsai lake 1 and Kolsai lake 2 and Kayindy lake. These natural treasures are beautifully hidden in the fir-tree forests on the slopes of the Kolsai gorge. Each of them has its own unique charm and its own way beautiful, which will discover during the visit. From Saty village will drive to Kolsai lakes. 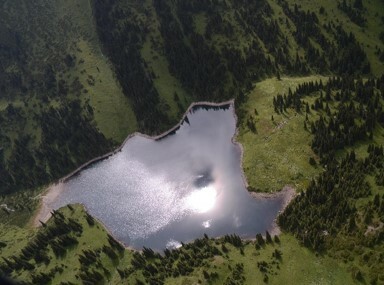 From the first mountain lake1 will make trekking to the 2nd Kolsay Lake (about 8 km). While trekking, you will enjoy unsurpassed forest, inhale fresh mountain air, enjoy the peace and quietness of mountain landscape. Kolsai represent a cascade of three lakes. 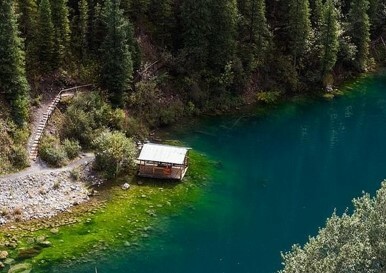 The largest lake of Kolsai is the most beautiful lake, where it will meet you with picturesque landscape “decorated” with alpine flowers and will please you with abundance of mushrooms. Horse lovers can order horseback tour to this place. 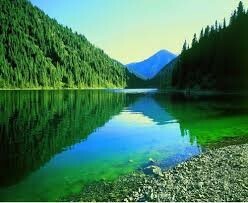 Upper Kolsai lake is the highest and the smallest lake at an altitude of 2850 m above sea level. It is located on the border of fir-wood and the alpine meadows and amazes by its harsh alpine beauty, as well as the rich flora and fauna. 09.00 After breakfast we will drive by car or riding a horse to visit mysterious lake with the turquoise smooth surface – Kaindy. In Kayindy, you will have chance to ride on a boat among tree peak. The water of Kayindy lake is so cold (even in summer the temperature does not exceed 6 degrees) that the great pine trees were literally preserved inside the water. 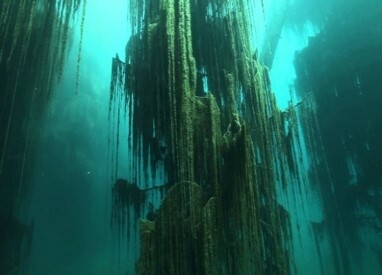 The water of the lakes is so clear that while riding a boat there, you can see depths of the lake with amazing underwater forest! Today we transfer to see a natural miracle – Charyn Canyon, which can be described the little brother of Grand Canyon. 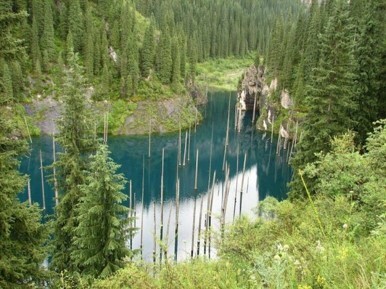 The picturesque canyon with its fantastic forms is one of the wonder of Almaty region. The Canyon itself is approximately 150 km long, and, in places up to 300 meters deep. 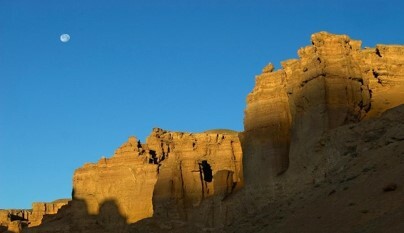 Nature Theatre of Charyn presents valley of Castles with rocky ravines and sandy towers created by water, wind and time. Among this abundance of natural attractions there is a grove of relict species of ash tree, which survived the era of glaciation. 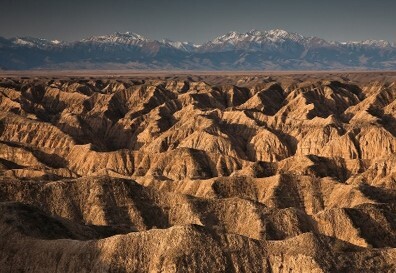 Upon arrival at the Charyn Canyon, you will enjoy exploring the various overlooks of the area. After lunch we continue the tour the with visit Chunja hot springs near Charyn canyons. There you will stay overnight. 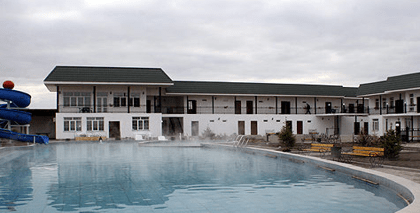 This is an oasis with mineral springs in the middle of the steppe. 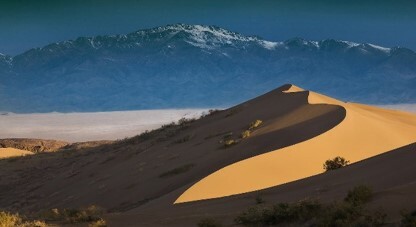 Visit wonderful picture of the nature – Signing Barchans Dunes. After lunch visiting of Aktau, Katytau colored mountains (70km from guesthouse). 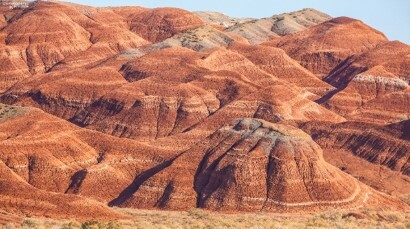 Marvelous mountains of Katytau and Aktau with their unusual surfaces are other unique attractions located in the territory of Altyn Emel National Park. The former is famous for its unique appearance, which was probably created by small volcanoes, erupted and immediately cooled down several thousand years ago. Today its unique shapes are well preserved and remain the same. These shapes include holes of all forms and sizes, grooves, cracks, gyrus, which sometimes resemble shelves, sometimes cups or royal throne, just let your imagination guide you. 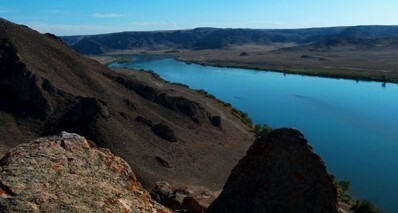 08.00 – We will drive to Besshatyr mounds located in Altyn Emel Ntional Park territory. Besshatyr is complex of Saco mounds, which is a historical monument (the 12th -11th centuries BC) and heritage left by great nomads of Central Asian steppes. 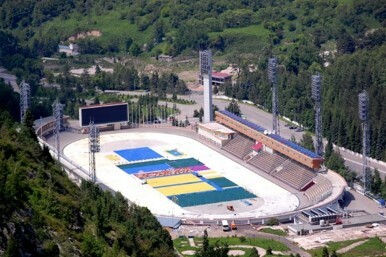 From Besshatyr complex we will drive to Ili river. There we can take a boat trip on Ili river. 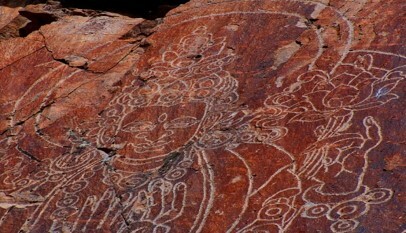 There are few sightseeing spots we can enjoy while riding the boat on Ili river: rocks with unique pictures of Buddhas engraved on (dated back to 14th -16th century). In total, there are 18 rocks with engraved on it signs, including three Buddha images on one rock and two images – on the others.